The industry standard coaxial cable just got a little smarter. Introducing Revo’s R100DBNC-1, a BNC coaxial cable combined with 2.1mm power and RS-485 data cables. The BNC coaxial cable features heavy duty shielded construction for durability and low noise performance. The 2.1mm power cable works with all of our Revo BNC cameras. 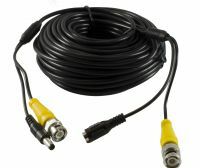 Finally, an RS-485 data cable, used for operating PTZ, PT or Zoom cameras is included, making an all-in-one cable solution. 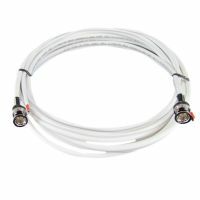 Achieve clean PTZ cable runs with this innovative cable combination. Heavy duty cable which is still a bargain at the regular price when compared to similar cables from Amazon, Fry's or eBay. I purchased via sister site, secureitall.com Little to no video loss despite the long cable run. The video was better than the generic 60ft cables I replaced. Going to stock up on a few more for future camera additions to my system.